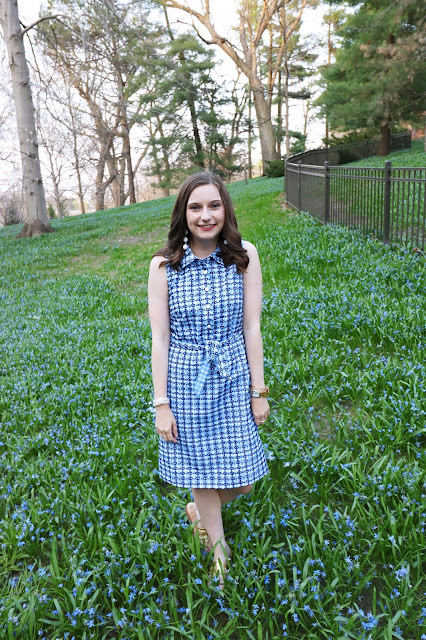 Sew Cute: Recruitment Ready: My tips and tricks! So, it's around that time where everyone will be going back to school. That also means that recruitment is right around the corner. As someone who has been on both sides of recruitment I know a few tips and tricks to help you A. find the perfect chapter for you and B. help you not loose your mind. For more in-depth information about the actual recruitment process click HERE to see the post I did last year! Also, here is a post on my recruitment do's and don'ts from Sorority Stylista. As for now, I am going to give you a 3 simple tips to have the best recruitment experience. A. "You do you"...... Okay so I know this may seem silly but I'm being serious. When I went through I saw a lot of girls worry about what houses their friends liked and so on and so forth. Or who they thought were "the cool girls" or "the popular and pretty sorority". Personally, I think the best thing you can do to find the best house for YOU is do only focus on yourself. Sure, it's okay to talk something through with a gal pal but don't focus on what houses your bff wants or your roommate. Trust me when I say that it's fun to have friends in other chapters! It's not like the movies where so and so hates another sorority just because (well at least at Iowa State). Again, I'm not saying you can't chat with your friends about what houses you like. But, I am saying that just because your friends had bad convos at a house doesn't mean you can't like that house. At the end of the day its your decision, college experience, and chapter that you are joining. So don't let outside opinions affect your decision. B. Keep an open mind...... I was lucky enough to go to a school where I didn't know much about their Greek life. I didn't know girls in every sorority from high school and I didn't have any pre-conceived notions about any of the chapters. Most people aren't that lucky I realize, so it is important to keep an open mind. Just because you know one girl you didn't like from HS in a house doesn't mean that the chapter isn't right for you. A. that person might have changed since being in college and B. one person doesn't define a sorority. C. Try to remain stress free....... If I have learned anything during my recruitment process is that everything happens for a reason. Whatever chapter you end up in it's all for a reason! So, don't get frustrated or upset when you don't get called back to a house you really loved. Chances are you just weren't fit for that house. At the end I can say almost everyone ends up somewhere where they are happy (whether they know it or not!). So, try your best to remain stress free and just go with the flow. The "process" really does work and everything will work out in the end how its supposed to! My bid day with my Big! What are your recruitment tips or questions? Leave them in the comments below!